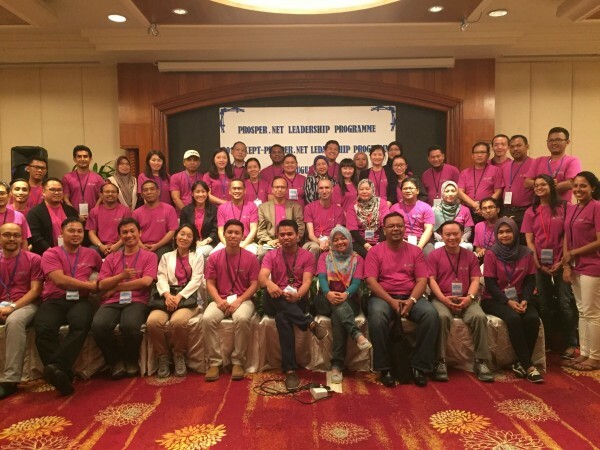 The 2016 ProSPER.Net Leadership Programme, held 7-14 August, 2016 in Labuan Island and Beaufort, Sabah, Malaysia, was co-organized by the ProSPER.Net Secretariat with the Higher Education Leadership Academy (AKEPT) under the Ministry of Higher Education, the University Malaysia Sabah (UMS) and the University College of Technology Sarawak (UCTS). With 34 participants from ten countries in the Asia Pacific region, the Programme greatly benefited from having participants from diverse backgrounds and nationalities. During the following eight days, the intensive Programme provided a series of workshops, plenary sessions, multi-stakeholder and focus group discussions, as well as fieldwork activities around the topics of local sustainable development challenges on Labuan Island and in Beaufort. The main goals of the Programme were to identify local leadership opportunities for sustainable development and to link local and national sustainable development projects to international platforms such as the Sustainable Development Goals (SDGs), the Paris Climate Treaty, and the Sendai Framework on Disaster Risk Reduction. Participants were presented with lectures on leadership in sustainable development, and workshops on data collection and reporting. One activity focused on identifying ethical challenges in sustainable leadership, recognizing that leaders may have to balance their social, environmental, and economic obligations simultaneously. Over the following days, participants worked on one of the five topics listed, received important lectures from experts in each topic, and interacted with local stakeholders and communities through either multi-stakeholder discussions or field activities. The students were faced directly with the challenges of each community. They learned about the community’s hopes for change, and how some of these challenges had been tackled. More importantly they were able to identify which problems remained unresolved. Housing and Urban Poverty: Malaysia continues to face huge challenges in urban poverty and housing. Participants visited an urban community in Wilayah Persekutuan that had been impacted by nearby industrial activities. The community’s livelihoods were threatened as the natural environment and fishing stocks had been severely damaged. Promotion of Small Scale Tourism through Homestays: Local tourism initiatives have long been championed on Labuan Island. Participants visited two communities and homestay operators which were working with the Ministry of Culture and Tourism in Malaysia to enhance the local tourist industry by providing homestays to tourists. Domestic Waste Management: Participants visited the local municipal waste landfill and recorded the problems related to recycling and waste disposal on the island in addition to issues of dump location and shipping waste to the mainland. Promotion of Eco-Tourism: A group discussion was held with representatives from the Forestry Department, Ministry of Culture and Tourism, local NGOs, and the District Office of Beaufort on eco-tourism and conservation initiatives. Participants visited the Kota Kilas conservation areas to see how the locals together with NGOs provided eco-tourism to tourists interested in wildlife. Flood Disaster Management: Participants visited the community of Kampung Bangkalalak which has experienced recurring and periodic flooding. They interviewed community members on how government and NGO aid could better be tailored and how relocation and adaptation to infrastructure can better prepare for floods. To conclude the Programme, each topic group summarized their findings in a report and a brief media paper, highlighting the sustainable development challenges but also potential solutions. Throughout the Programme, participants shared their expertise in relation to a variety of sustainable development challenges, faced by both the communities as well as their fellow participants. By the end of the Programme, the participants had forged a strong sense of community among themselves, with many looking for opportunities to collaborate on future projects related to sustainable development. Photos have been uploaded on facebook.